The site provides customer service features for both target audiences. 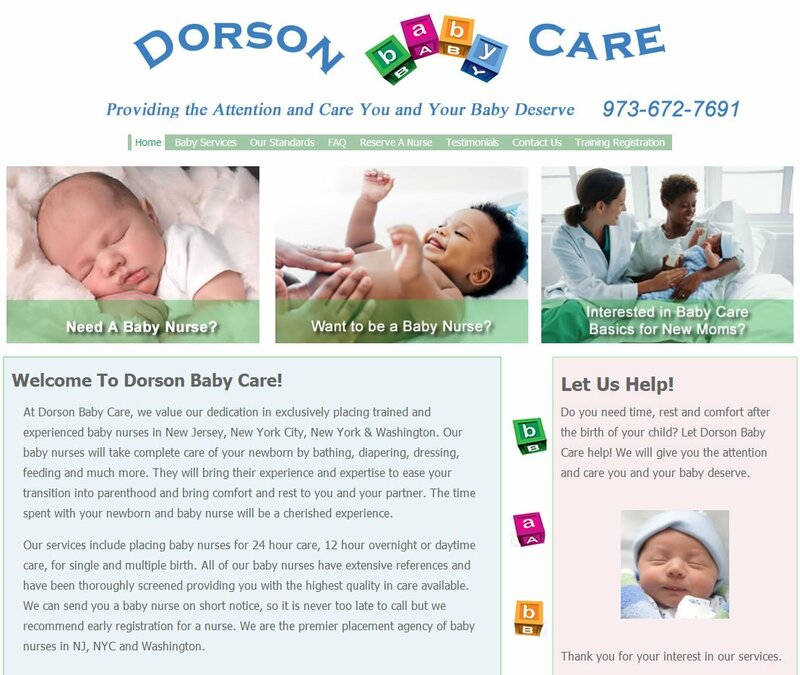 New mothers can register online to reserve a baby nurse, or take classes on caring for a newborn. Experienced doulas can apply online for a position. Baby nurses that are not yet certified can register for Doula certification. Business Networking Site that facilitates communication among its members. The site supports a mailing list that serves as a private online discussion forum. Notification of upcoming events are posted to the site and an email notice is sent to all members. Goals are productivity and customer service. The information on the website reduces the need for phone calls to the parish to get information about upcoming events. Parish-wide events are tracked on Google Calendar and are updated on the website. Private domain Gmail provides all parish staff and volunteers easy access to email, regardless of the client device in use. Provides customer service to clients who want to place future orders during times of the day when the deli is closed. Online order are emailed immediately and saved as a .pdf for future reference. 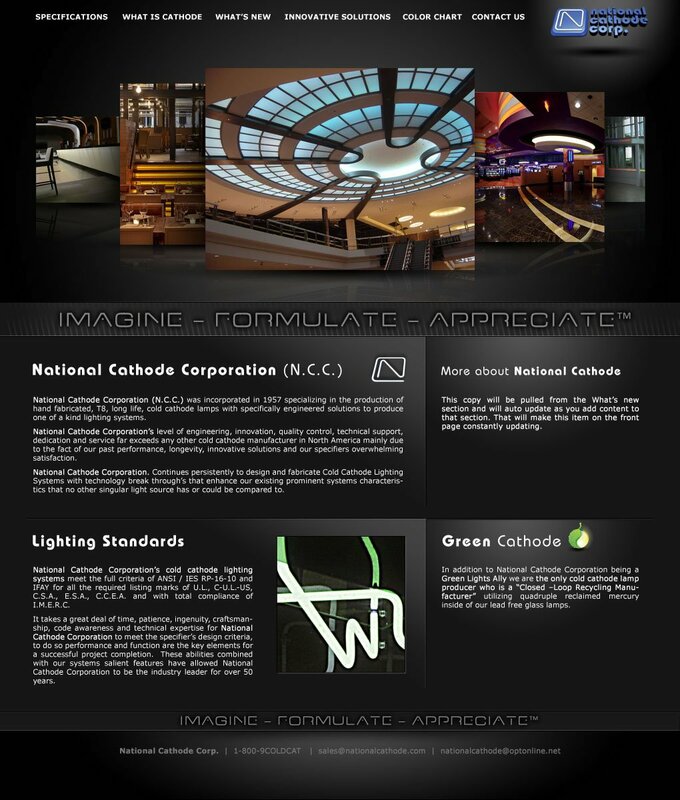 This site demonstrates the styles and effects that can be achieved with cold cathode lighting and provides product specification/installation instructions, both of which save the cost of printing and distributing brochures. New colors and styles can be added as soon as available, saving the cost of creating new brochures for new styles and colors. 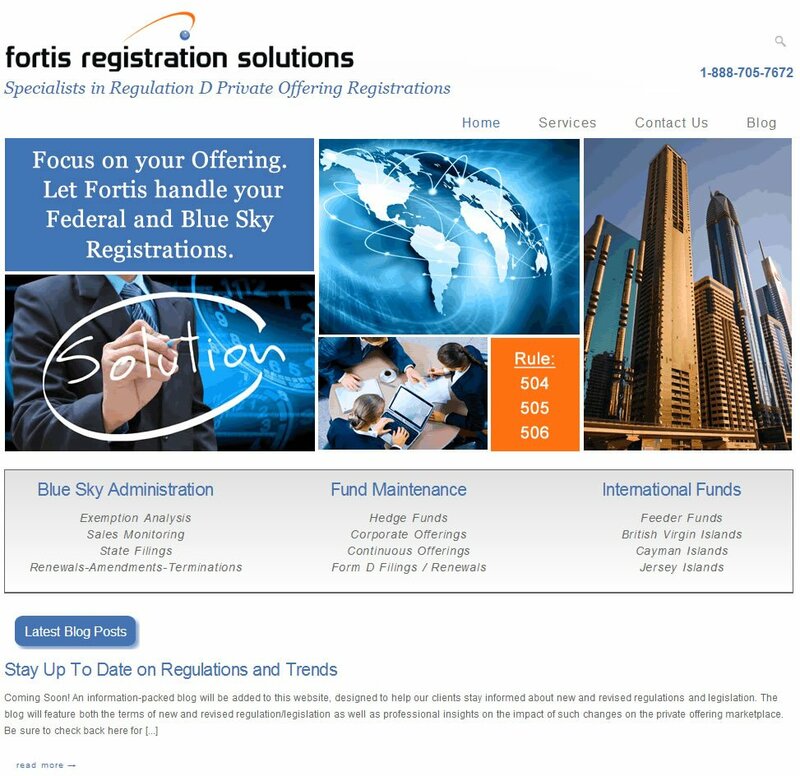 This is primarily a blog site used to provide timely Blue Sky Regulations information to Fortis' clients and prospects. The site dynamically resizes images and re-arranges information based on the size of the screen to provide an optimal user experience to users on any size device, desktop or mobile.